"George was my neighbor for many years. 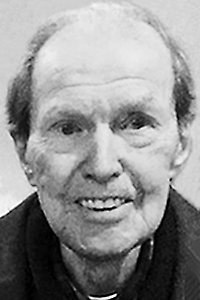 He always greeted me..."
"To Pat and George: So sorry on the passing of your father..."
CAPE ELIZABETH - George W. Nichols, 94, of Cape Elizabeth, formerly of Long Island, N.Y. and Allentown, Penn., passed away on Oct. 30, 2018, surrounded by his family. Services will be private. Arrangements under the guidance of Hobbs Funeral Home, South Portland. Full obituary may be viewed, and condolences expressed online at:www.hobbsfuneralhome.com.